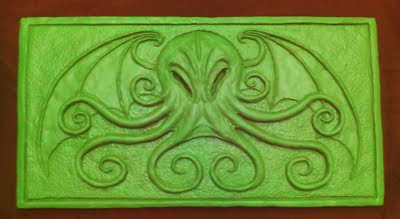 The Lovecraftsman: The guy making Chocolate Cthulhus is now selling Chocolate Cthulhu Bars, available in milk, dark and GREEN! 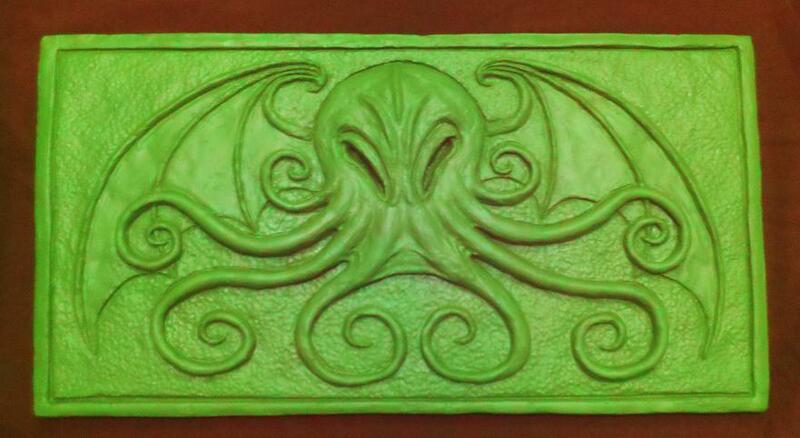 The guy making Chocolate Cthulhus is now selling Chocolate Cthulhu Bars, available in milk, dark and GREEN! 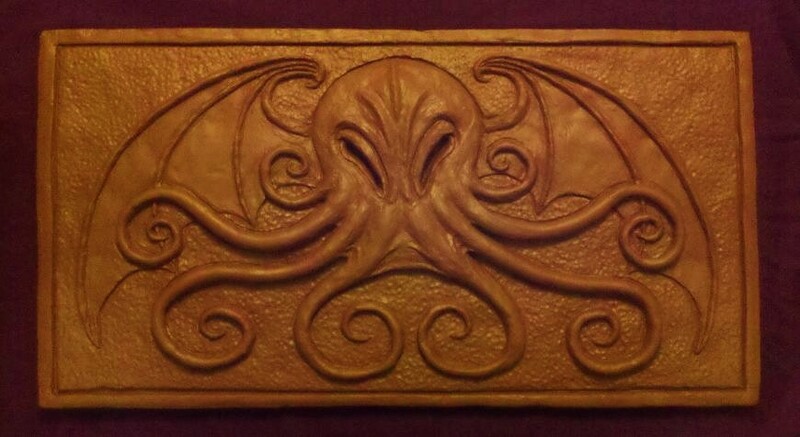 An eldritch treat worthy of the Great Old One himself. 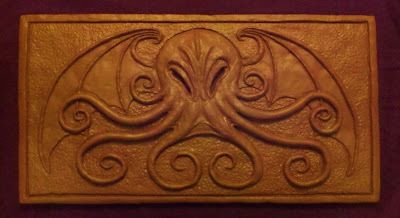 Measuring in at a Cyclopean foot wide this chocolate bar will inspire madness in all who dare to consume it! Available in milk chocolate, dark chocolate and green chocolate. Custom requests are also welcome. Please specify when ordering. You can order them here. Each bar costs $20. Thanks for the kind words! They're especially good when eaten under a gibbous moon! How big are these? $20 is alot for a candy bar! They're a foot wide by six and a half inches. Do you have the ingredients list for these? I would love to have one but I;m not sure if I can eat it. chain with a simple series revealed a low-key personality, fashion exudes elegance of style, really have to love.Replica Watches has a big year, a series of actions on the intelligent and self-produced watch movement,Rolex Dayton the Galaxy series of very useful feature when the two self-produced movement with handbagreplica B35 become this year’s main push brand watches, and interactive B55 Chronograph watch traditional Replica handbags and smartphones are combined to achieve the functions Replica watches UK.